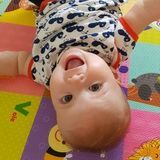 Part/Full-time Nanny for 10 month old girl from mid-October/November needed. Want to be hired by Ines? Hello my name is Ines. I am looking into booking a part-time in home daycare provider living in Halifax, Nova Scotia. Me and my partner are originally from Germany but lived in Australia for the last years. We moved, together with our 2 cats, to Halifax in the summer of 2017 and welcomed our baby girl last December. We are both working full-time and would benefit from a helping hand. You won't be alone with our girl as she joins me at work. I am usually working from home 2 days a week and for 3 days I am in the office. You would only need to look after my girl, change her diaper and play with her. No housework, groceries etc! In terms of the training, I basically just need somebody the two of us like to be around and get along with.